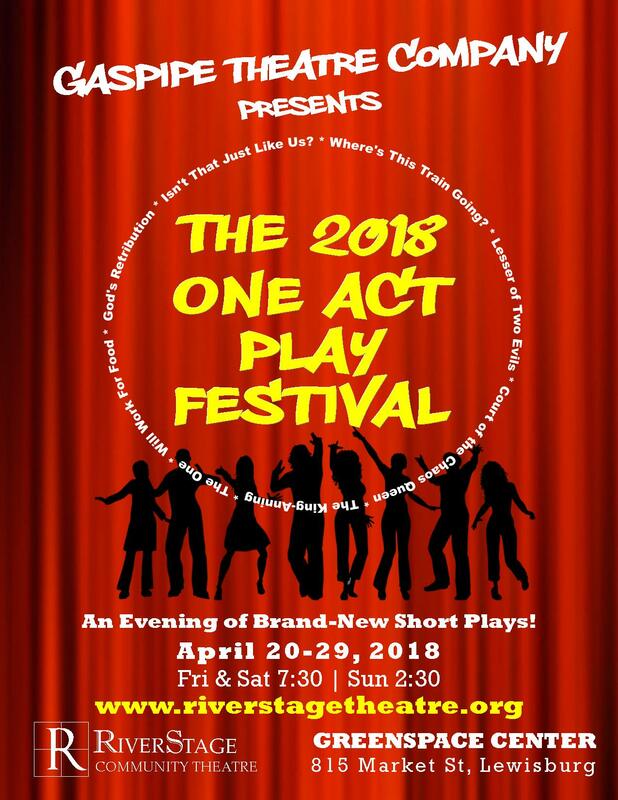 Sunday, April 29, 2018, 2:30 p.m.
Gaspipe Theatre Company and RiverStage partner once again for the 8th annual local festival of original one-act plays! 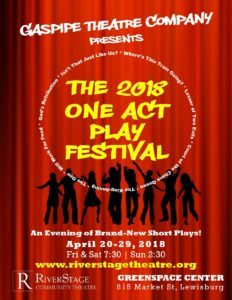 Written and submitted to us by new playwrights from across the Susquehanna Valley & the U.S., these short works of theatre are acted, directed and produced by local teams of artists! All of these short plays run 10-15 minutes in length and will be presented as one continuous show on each of the above dates. Buy Your Subscription Package Now!